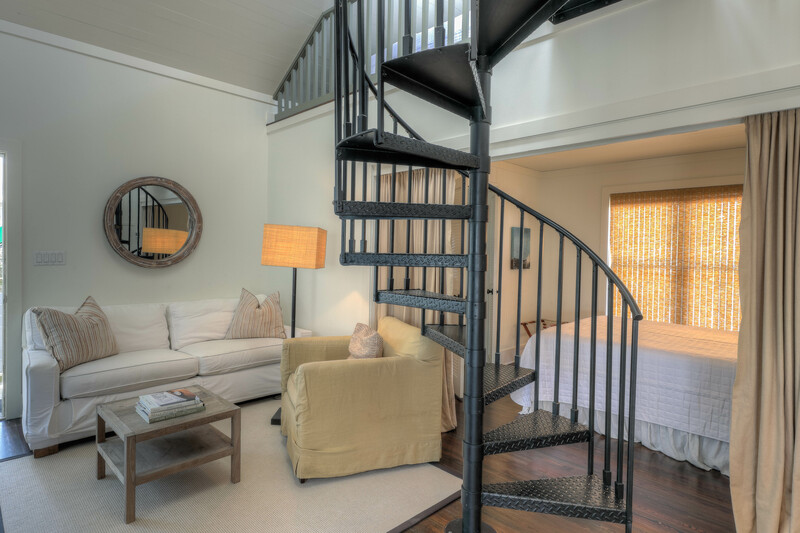 Welcome to Hayek Cottage As close as you can get in a Carriage House! Living Area Seating Spiral Staircase to the Loft Dining Table with seating for Four Kitchen for the nights you want to stay in Bedroom with Queen Bed Two Twin Beds in the Loft Two Twin Beds in the Loft Two Twin Beds with new Linens and Coverlets Bathroom So close to one of the most amazing Beaches in the World Only Seconds to this View Right next to Boardwalk A Seconds to the Beach! 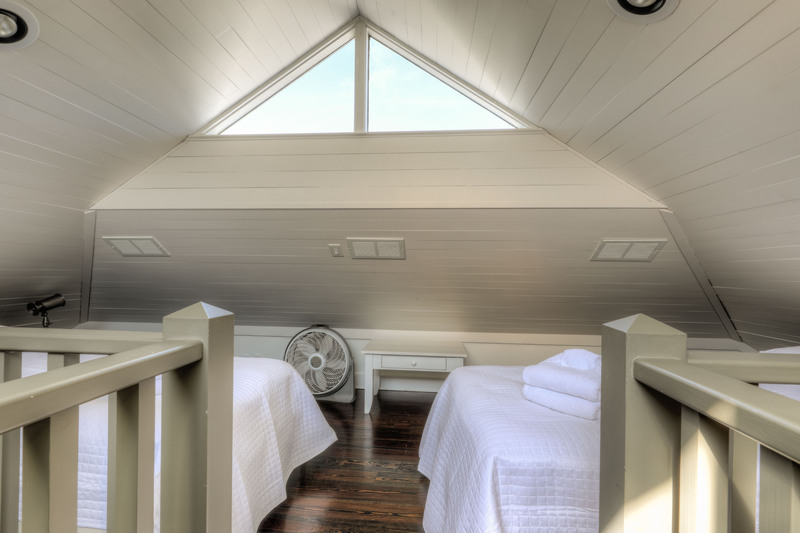 This cozy carriage house features two separate sleeping areas, perfect for a small family. 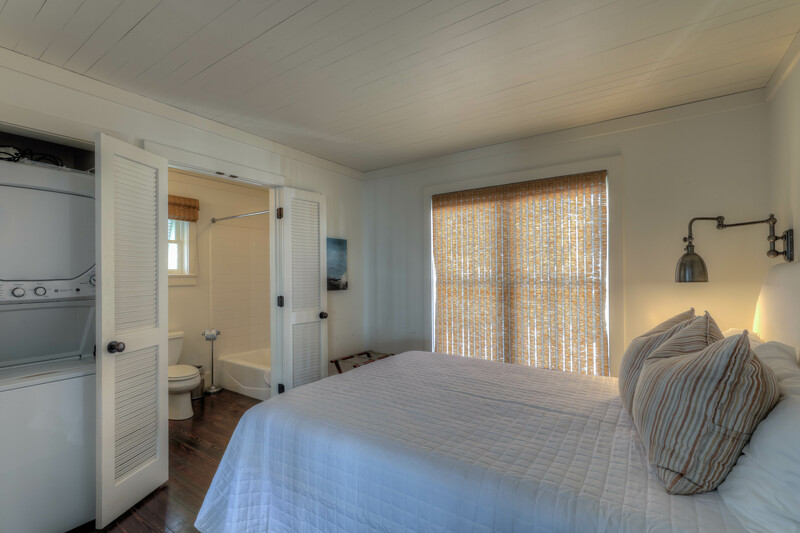 The main level provides a private nook with a queen bed (closed off by a curtain), a calm, comfortable living and dining area as well as a small kitchen with mini fridge and microwave(no stove, oven or freezer). 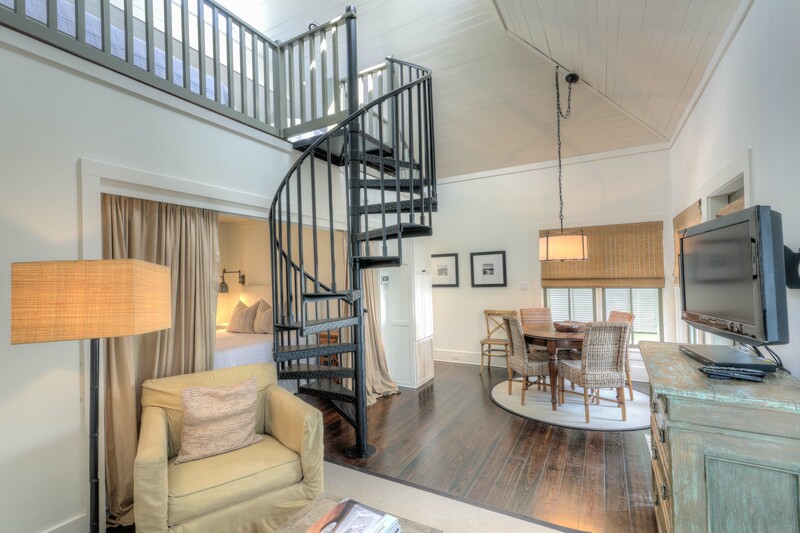 Follow the spiral staircase to an open loft which offers two twin beds. 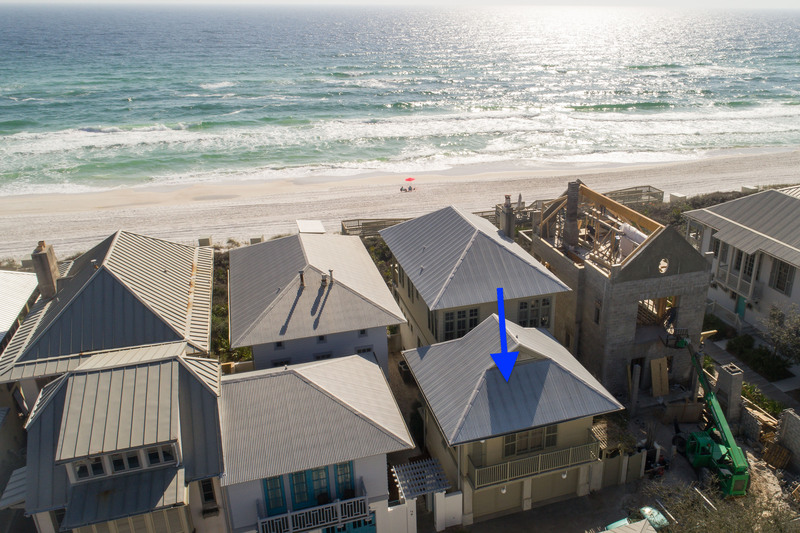 Not only will you experience a Gulf glimpse from the private balcony, but you will also be steps from a beach access and children’s park. 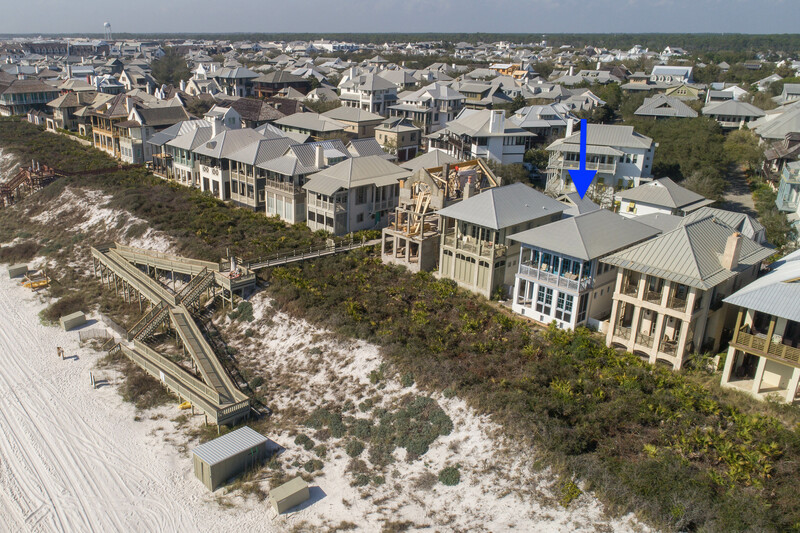 With the popular Coquina Pool nearby and Town Center just a stroll away, you and your family will be able to experience all that Rosemary Beach has to offer. •	Perfect for Your Family of 4! We had a great time staying in the Hayek Carriage and highly recommend for any small family. The proximity to the beach and playground was perfect for our small kids. The added bonus of a balcony with an ocean view was awesome for enjoying a cocktail while our kids took their afternoon naps. We loved everything about our trip and definitely plan to come back! Thank you so much for being our guest at Hayek Carriage House! We are so happy that you and your little ones enjoyed the nearby parks and easy beach access. 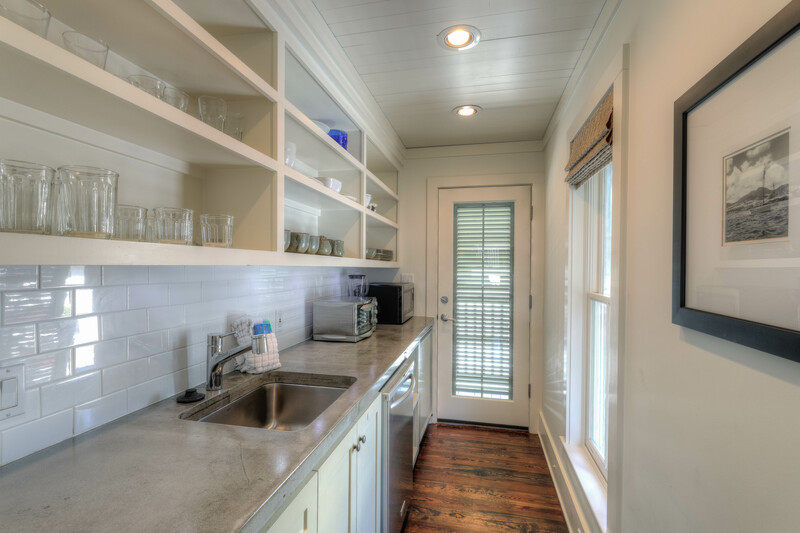 This Carriage house offers an unsurpassed glimpse of the gulf making it the perfect place to enjoy a cup of coffee or a cordial. 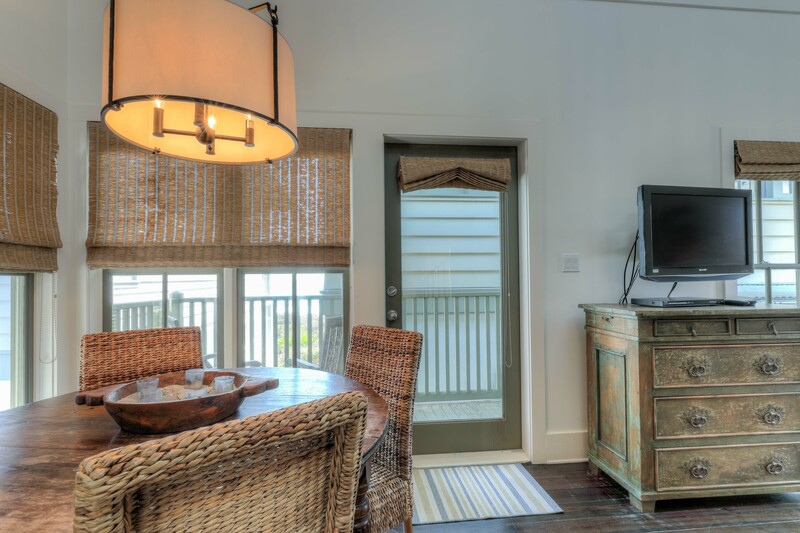 We hope to welcome you and your family again at 30A Luxury Vacations! Great location, cozy house. Perfect for our 4 person family. We thoroughly enjoyed our stay at Hayek Carriage House. It was perfect for my husband and two children, ages 6 & 9. 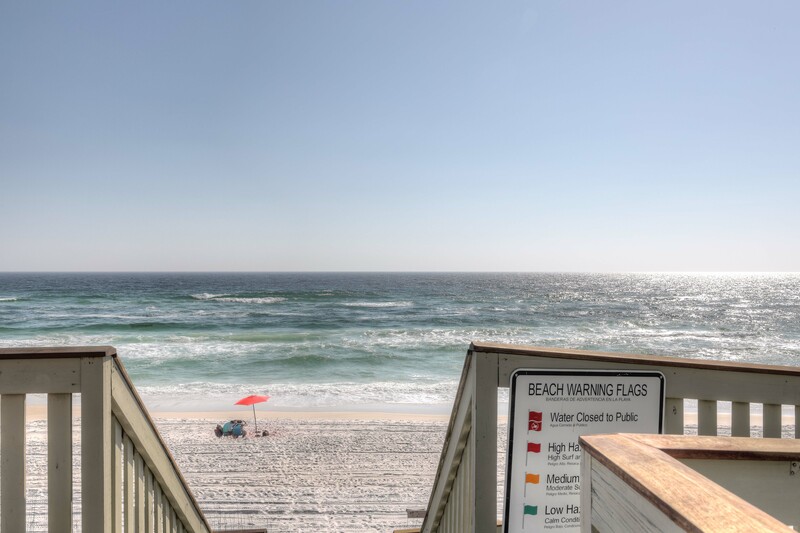 Rosemary Beach is perfection and everything we were looking for. It was fun being able to bike to dinner. The pool was a nice break from the salt water too. The location of Hayek Carriage House cannot be beat. With young kids having access to a bathroom while still on a beautiful private beach was a lifesaver. The house was cute and very well kept. Everything was exactly as described. Two things I would note. I do wish there was room for a small closet somewhere. There was no good place really to store our clothes or luggage. Not sure how that could be remedied just due to the size of the house. It wouldn’t not deter me from staying again but I would definitely make a note not to overpack. Also, I requested a broom to be able to clean the floors and sand up and never recieved one. We stayed for a week and it would have been nice to have some way to clean the floors. Maybe keep a small stick vacuum in the house. This vacation was amazing. The location of this unit is unsurpassed. It is just large enough for a family of 4. All necessary amenities were available to make the stay comfortable and relaxing. I would highly recommend this rental for your next trip to rosemary beach. 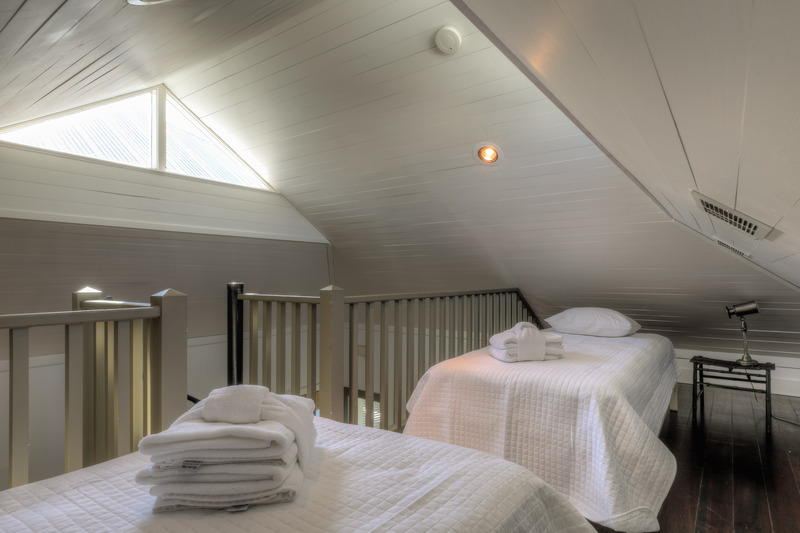 Thank you for your lovely review of Hayek Carriage House! We are thrilled to know you enjoyed your stay and hope to see you again! This place is beautiful, the perfect size for a little weekend getaway, and the location is amazing. Would definitely stay here again! 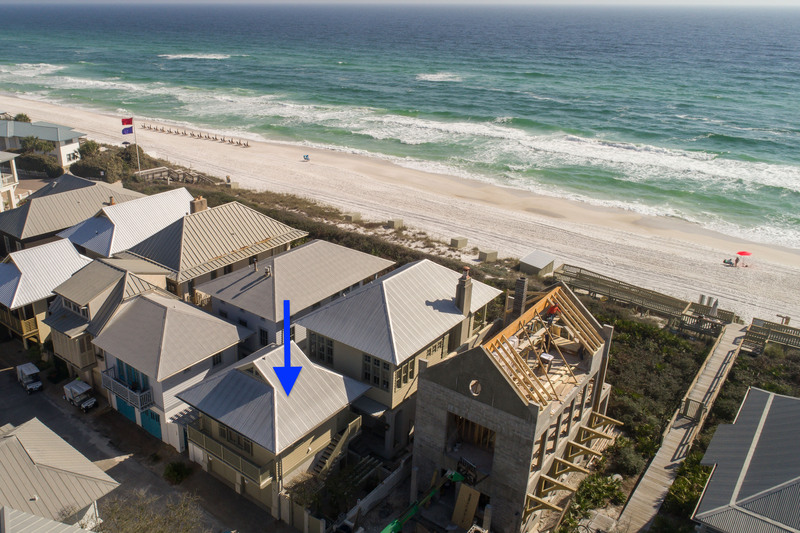 Thank you for choosing Hayek Carriage House as your vacation home in Rosemary Beach. We look forward to welcoming you again!